The Moon is in Gemini all day (until Monday, May 9th, at 1:23 PM). The Moon is waxing and in its New Moon phase. A New Moon occurred on the 6th, and a First Quarter Moon will occur on May 13th. Mercury is retrograde (Mercury is retrograde from April 28-May 22). Mars is retrograde (Mars is retrograde from April 17-June 29). Jupiter is moving towards a direct station, dear Aries, and this is happening in your work and health sector. Confidence and motivation are rebuilding for pursuing health and work goals, as well as for improving your habits and routines. While Mars is still retrograde, and for that matter, so is Mercury, this change of direction is useful for improving your outlook. You are less inclined to simply worry about the details and more inclined to roll up your sleeves and take care of them. Inner restlessness can be tamed by a change of routine, a mini adventure, or the pursuit of further knowledge. Work matters pick up speed. Motivation to pursue or step up health and wellness programs increases. There can be returning interest in, or good news about, learning projects, travel plans, or educational endeavors, although these may need further attention or review. Today, the Moon in your communications sector all day keeps you connected and busy, although your attention may often be quite divided. Slowly but surely, more clarity is coming to important areas of your life with Jupiter about to turn direct after several months of retrograde motion, dear Taurus. Creative blocks are likely to lift, and romance moves forward. In fact, the months ahead are excellent for pursuing your passions. You are experiencing less fear and more joy in matters of love and dating, or with your hobbies, creations, and friendships. This yearly direct turn is typically strong for intimate relationships and financial support. 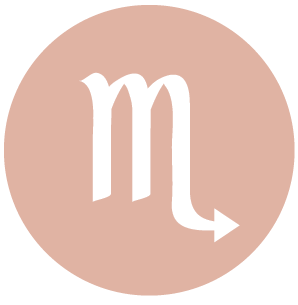 This time around, Mars is retrograde in your Jupiter-ruled sector for another few weeks, so that the benefits are not likely to be quite so obvious for the time being. However, increasing confidence that you can handle things is with you. Today, the Moon is in a comfortable zone of your chart and encourages you to enjoy a slower pace. Jupiter, the Great Benefic, is coming to the end of its retrograde period and begins its forward journey in direct motion tomorrow morning, dear Gemini. This shift points to a positive turning of the corner, particularly related to family, home, and personal matters. Your home life becomes happier, warmer, and more supportive. You regain enthusiasm for projects you may have let go around the house, and for some of you, a family relationship can bud or strengthen. Your motivation to get back on track is returning. Slowly but surely, more clarity is coming to your longer-term goals and projects. 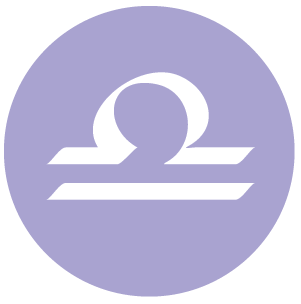 Typically this yearly change in direction has a strong effect on partnerships and close relationships, as these are Jupiter-ruled in your chart. 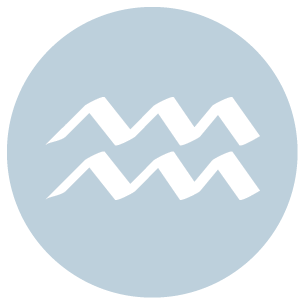 However, retrograde Mars in this sector can point to more review or backstepping for a few weeks before you really start to feel the boost in confidence about your connections. Today, the Moon is in your sign all day. Emotions are in strong focus. It can be very easy to get a rise out of you now, and you’re more visible than you have been. 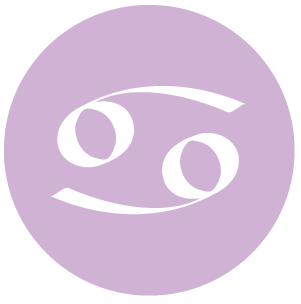 Jupiter is about to end its retrograde motion, dear Cancer, and this can point to increasing confidence levels, particularly about long-term plans. It’s also a strong time for acting with more faith. Your style of communication, as well as your confidence in your ability to express yourself and be understood, improves, and this will only get better as the weeks go by. There can be more clarity when it comes to schooling and communications in general. There is more natural and spontaneous conversation and sharing of daily events. As well, your head clears a little in terms of your more practical goals. Today and over the next couple of weeks, you’ll begin to see clear improvements to work and health matters. However, because Mars is still retrograde in your Jupiter-ruled sector for a few more weeks, work and health matters may still need some attention and review for a while longer. The Moon is in your soul sector all day, encouraging you to get into better touch with your inner world. Jupiter is moving towards a direct station, dear Leo, after several months of retrograde motion. You’re likely to feel that you’re in a better position to take charge, and your confidence increases, when it comes to your business, financial, and practical affairs. There can be new and improved motivation levels for money-making prospects. You are more inclined to pursue your desires, make important purchases, and say yes to new developments on the job or with business. Joie de vivre improves considerably now and in the coming weeks. 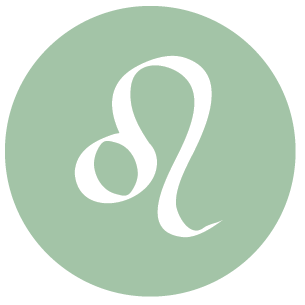 While this yearly event is typically strong for creative and romantic confidence, with Mars still retrograde in your Jupiter-ruled creative sector for a few more weeks, this influence may not be as clearly felt, although you may notice more optimism in these areas. More clarity and purposefulness are likely in your love life, creative projects, or children’s lives in small doses and will be raring to go later in the summer. 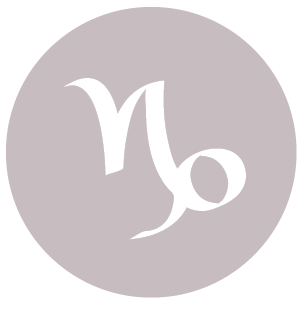 Today and over the next couple of weeks, you’ll begin to see clear improvements to your mood, outlook, and family life, dear Virgo. Stalled projects or relationships begin to “unstick” and move forward. Your faith that things will work out if left to run their course also increases. This is due to Jupiter turning direct after months of retrograde motion. Jupiter is in your sign, and with Jupiter moving direct, until the end of this transit (September), the liberating benefits of this influence are more obvious and measurable. Your confidence in yourself and others increases, and so does your popularity. While you typically enjoy focusing on details, today you’re seeing matters from a broader perspective. More clarity comes to family relations, domestic matters, and personal plans. You can be feeling more hopeful about family projects and matters, as Jupiter rules your sector of home and family. However, Mars is still retrograde in this sector for a while longer, and there can still be some backlog. 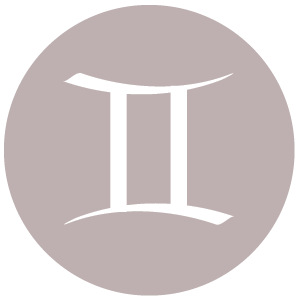 The Moon is in Gemini all day, turning your strong attention to work, reputation, and long-term or career goals. Not all is likely to run as planned, but adjusting your expectations can help you to see more clearly. Jupiter’s direct motion early tomorrow can help with motivation levels, dear Libra. While Mercury and Mars remain retrograde, Jupiter’s yearly direct turn occurs now, and, slowly but surely, you’ll feel more hopeful and enterprising. You are nevertheless in a development stage as Jupiter finishes up in your privacy sector until September, when this happy planet enters your own sign. The need for some privacy and down time is natural now as you prepare for more outgoing and visible times. Jupiter’s direct motion now certainly helps you to let go of resentment and difficult problems of the past. More clarity and purposefulness may come to your studies and communications, as Jupiter rules your solar third house. However, with Mars retrograde here for a while longer, there can still be some need to look back. Today’s Moon in your adventure sector all day helps to lift your spirits, although there can be some ups and downs as you struggle a little with expectations. Learning to live in the moment is helpful now. You’ll be approaching life with more spirit and faith today and in coming weeks, dear Scorpio, with Jupiter turning direct after months of retrograde motion. 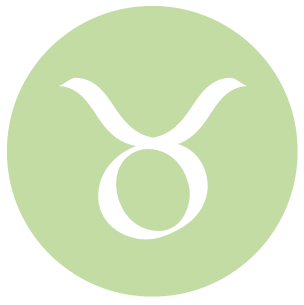 This yearly event tends to improve your outlook and prospects when it comes to money and possessions, although with Mars retrograde in this sector, there can be more review to do. Because Jupiter is in your solar eleventh house this year, more clarity comes to friendships, causes, plans, group associations, and long-term goals. As these areas of life clear up, you gain more confidence about where you stand and about moving forward. Courage is with you for reaching out – you are less likely to second-guess yourself and more likely to connect spontaneously. This shift doesn’t occur all at once, but you should definitely be feeling as if you are turning a corner. As these areas of life clear up, you gain more confidence about where you stand and about moving forward. Thanks to Jupiter’s direct motion after spending several months retrograde, today and in the coming weeks, professional matters and personal plans gain more clarity, unblock, and move forward, dear Sagittarius. Although it can take a bit of time to get back on track, you are likely to see gradual improvements in these areas. Motivation to pursue a particular course or path, and possibly a business venture, increases considerably, as events this week have you feeling that you’ve turned a corner. This yearly event tends to have more impact on you than others because Jupiter is your ruler. You are more naturally outgoing in the coming months. This will be more obvious once retrograde Mars moves out of your sign at the end of May. 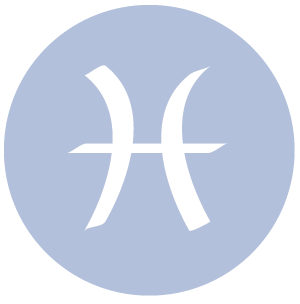 The Moon is in your partnership sector all day, and while you may need to do a balancing act in order to keep everything running smoothly, this is a generally good time for relationships. 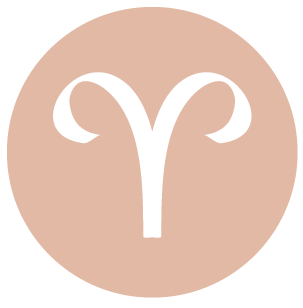 With Jupiter moving direct after months of retrograde motion, today and over the next couple of weeks, you are likely to see some improvements to your travel or educational plans, belief system, and your own faith or outlook, dear Capricorn. These matters are gradually gaining clarity. Your confidence in your ability to put frustrating elements of your past behind you is also on the increase. Your confidence in your powers of perception and intuition improves. You can experience an increased ability to surrender to the unknown – to let go and have faith that things will fall into place – with Jupiter turning direct. 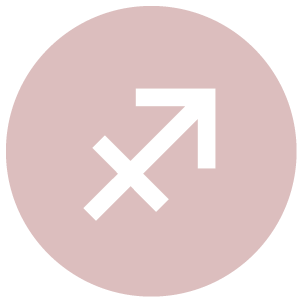 However, with Mars retrograde in your solar twelfth house a while longer, you’ll still be doing some processing and reviewing past matters – and are likely to be on the fence about certain issues. The Moon is in your work and health sector all day, stimulating a desire to get your affairs into order. There can be some moodiness as you adjust plans or expectations, but it’s generally a good time for sorting, organizing, and working on details. Jupiter is stationing as it is about to turn direct, dear Aquarius. This shift helps to boost your confidence that you can get things done and make an impact, particularly related to your finances and intimate relationships. This is also a time for feeling more able to put a bad habit behind you or to make a positive lifestyle change. You’ll become clearer about what you want as you move forward. Because Jupiter rules your friendship and causes sector, this yearly direct turn of Jupiter typically helps to remove blocks in friendships and with long-term goals. However, you have some more “work” to do in these areas with Mars retrograde in your Jupiter-ruled sector for a few more weeks. Today, the Moon transits your creativity sector, awakening a desire to play, perform, and share. There may be some challenges in friendships today if expectations are not realistic, but overall it’s a good time to loosen up and express yourself. With Jupiter approaching its yearly direct station, dear Pisces, you can have a sense that some things are turning a corner. 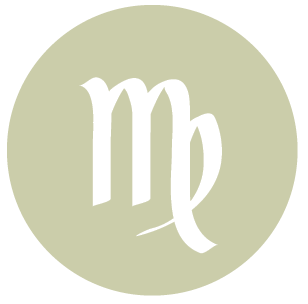 Mercury and Mars are still retrograde, and this suggests that it’s still important to take things slowly and to get things sorted before pushing things ahead. However, Jupiter’s direct turn can boost your confidence and bring more clarity to partnerships and close relationships. There will be a few matters to iron out before everything is running up to par again, but you are certainly feeling more hopeful and spirited. This yearly event is typically very helpful for renewing your confidence about pursuing career and business goals, but with retrograde Mars in the sector that rules these things for a few more weeks, this influence may not seem as obvious. Today’s Moon transits your domestic sector, stimulating a desire to do a bit of cocooning and to pay more attention to home and family. If Your Birthday is May 8th, If Today is Your Birthday full horoscope here. We are attracted to new ideas, but we need to discriminate more so that we don’t become too scattered. Communications mean more to us than usual. We can be feeling pleasantly attached to, or supported by, our loved ones or family. We are seeking out security, nurturing, and warmth, and we are more likely to express these things towards others. There can be confusion, misunderstanding, or some level of chaos and uncertainty. Avoid money transactions or new business initiatives – it can be difficult to think clearly. There may be deception or self-deception to deal with. We might have an emotional urge to escape. Feeling out of sorts and don’t know why? Relax and listen to some inspirational music. Honor your need to feed your more refined or spiritual side, and the difficult feelings will soon fade away. We may not be very realistic right now – there can be some exaggeration. Minor annoyances are possible now. Contrariness or disagreements. This is not an ideal time for publicity, promotion, or legal matters. We can experience injustices. We are less inclined to consider the consequences of over-eating, over-drinking, or overdoing in general. This is a time to show some restraint. Grandiosity is not appreciated right now, and excess doesn’t go over well either. With a little self-control we can learn about what truly makes us happy. There could be a realization that is disappointing or depressing, a feeling of limitation, or an experience of being blocked or thwarted now. There could be a lack of warmth and sensitivity experienced now, and self-protectiveness. We may not be aware of our more demanding or controlling tendencies. We may feel vaguely frustrated, powerless, or tense. There can be undermining going on in our interactions and relationships. Wait for the tension to subside before taking action. There may be clinging or controlling behavior if we are driven by our fears. Hypersensitivity and moodiness are possible. Tread lightly with tricky emotional issues. This is the trigger for out with the old and in with the new. We could feel at odds with others on an emotional level. Public relations are not as favorable now. Plans could need reworking. We could feel temporarily out of the loop. Projects prove successful right now, particularly those involving teamwork. Co-operate and reap the rewards. Stable and enduring, strong values, unyielding, earthy, acquisitive, strong desires. Can be stuck, stubborn, overly possessive, self-indulgent. Agile, versatile, inquisitive, flowing, conversational, airy, many ideas. Can be volatile, superficial, changeable, restless and inconsistent. We are especially in touch with the physical world. We consider what we’ve learned and experienced in the past in order to make the most of the present. We can be cautious, practical, and possibly unimaginative. We are deliberate and can pace ourselves well. We need hands-on experience and are not impressed with theory as much as we are with results. Routines are tolerable and comforting. This is not a time that we tend to naturally initiate actions. We may be stronger at following up than starting anew. Survival mechanisms may be weaker now. Moon 0 to 45 degrees ahead of the Sun. This is an energetic, impulsive, and subjective period of time. We are looking for new projects and opportunities. We are attracted to new ideas and are especially curious. We may need to discriminate so that we don’t become too scattered. Communications mean more to us than usual. We may not be very realistic right now, which can lead to moodiness, as we are more invested in our dreams and expectations. We may feel a need to escape or to rewrite our lives in various ways – by seeing what we want to see, for example. This is a short time in which there can be lack of clarity. Emotional and physical sensitivity. You are a reliable and solid individual. You have a strong need for stable routine and security. You can be stubborn. Others can rely on your down-to-earth nature. Sabian Symbol: A new continent rises out of the ocean. We take pride in our ability to relate well with others or to smooth over differences now. Graciousness, diplomacy, charm, and some superficiality are themes. This is a good period for social affairs, pleasure, amusement, and romance, all things considered. There can be a nice, healthy feeling of optimism and confidence now. We might promote, publish, advertise, or market with greater success. We are generous and tolerant, giving people the benefit of the doubt, expecting the best from others and from ourselves. We can see the big picture. You are a powerful person with strong leadership abilities. You know when to be assertive and when to compromise. You are able to apply yourself to the job at hand. You place importance on traditional knowledge. You learn in a slow, methodical and hands-on manner. You stick to old ideas and may fear having to learn anything new. Sabian Symbol: Moving finger points to significant passages in a book. Good judgment. Taking in the full picture. Speculative thought. Positive thinking. Interest in learning. Teaching. This is a good time for serious and determined study and investigation. We are drawn to looking for truths and to unexplored topics and ideas. For you romance and reliability go hand in hand. You approach relationships slowly and steadily, looking for someone who will prove solid and secure. You enjoy sensuality, and are reliable with finances. Sabian Symbol: A woman sprinkling flowers. You have a talent for putting other people at their ease. Your natural enthusiasm is contagious. Your larger-than-life schemes have a habit of always paying off. You and a romantic and gentle partner. You like to share creative pursuits in your relationships. We’re a better judge of value right now — who and what are important to us. We might see one another, and our relationships, in a different light. We could reconnect with someone or improve an existing bond. We could be up for a challenge now. Increased insight in relationships, with money, and in business. You are an inspirational leader, and have a strong desire for exploration and adventure. You may be one-pointed in your desires. Sabian Symbol: Cupid knocking at the door. Sabian Symbol: A family tree. We are faced with the need to temper our enthusiasm or to slow down to avoid overextending ourselves. This is a time for clarifying and editing projects and goals. We may need to cut back on something in order to grow in another area. Patience is required now. We may be misled easily under this influence–by others, or by our own unrealistic or inflated expectations. Routine seems to be particularly unsatisfying now, as we are inclined to want to find more meaning in what we’re doing. You are enthusiastic about so many things, and have ambition to succeed. You naturally find yourself in leadership positions and react well to them. Sabian Symbol: The ground hog looking for its shadow. Sabian Symbol: A woman in pastel colors carrying a heavy and valuable but Veiled load. Sabian Symbol: An examination of initiates. You have a tendency to daydream and live in a fantasy world, possibly even escaping into the world of drugs and depression. Your quest in this life is to put your creative talents to positive use. Sabian Symbol: The union jack flies from a new british destroyer. Sabian Symbol: The purging of the priesthood. You have a tendency to become stuck in a mire of self-pity, seeing only the pain and suffering in life. You need to develop the caring and sensitive side of your nature for the good of others. You have the ability to work in a stable and persistent manner. You are committed to working in a comfortable and predictable manner. You need to avoid becoming inflexible. You have a meditative mind, the ability to merge in your mind with the universe. You desire to heal the world through words, and may be involved in some form of artistic expression. Sabian Symbol: A petrified forest. You want an intense and sexual relationship. You want your partner’s total attention and demand a high degree of sensuality. You feel cared for when people are allowing you to be independent. You also believe that the best way of caring for others is to let them be themselves. You will suffer if you feel dominated or caged in. Sabian Symbol: A crystal gazer. Sabian Symbol: A girl’s basketball team. Sabian Symbol: A little white lamb, a child and a servant. Cnj 16°Cp51 RUKBAT Steadiness and strength. Cnj 26°Ta23 ALGOL— Female passion and intensity. Sun 29° Aries 57' 00"
Moon 11° Scorpio 33' 18"
Mercury 03° Aries 55' 41"
Venus 29° Pisces 35' 34"
Mars 13° Gemini 13' 22"
Saturn 20° Capricorn 26' 29"
Uranus 02° Taurus 22' 38"
Neptune 17° Pisces 43' 28"
Pluto 23° Capricorn 08' 49"
Chiron 03° Aries 29' 22"